Dinner: Nightly: 4:30pm - 10:30pm; Bar open late. 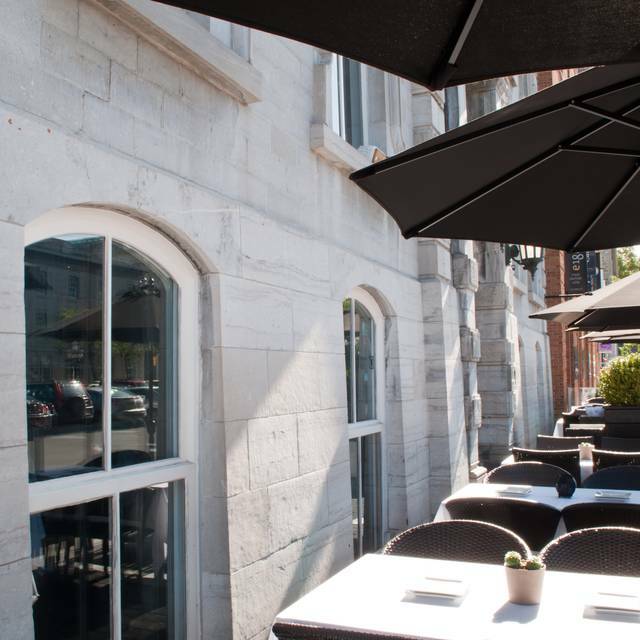 Metered parking is available in front of the restaurant or a heated underground public parking lot is located directly beside the restaurant. Public Transit can be accessed from the Rideau Center, a 5 minute walk through the Byward Market. 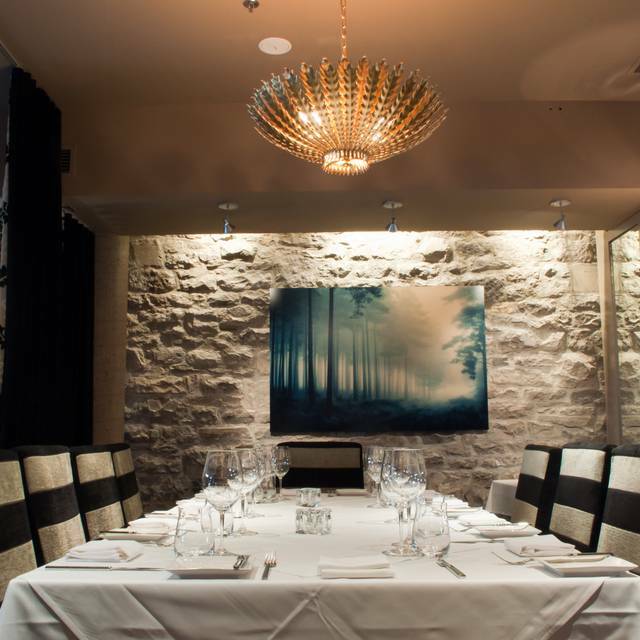 We host regular wine dinners, welcoming wine makers and exclusive wines from across Canada and the world. Follow along on social media or ask to be added to our e-mail list. 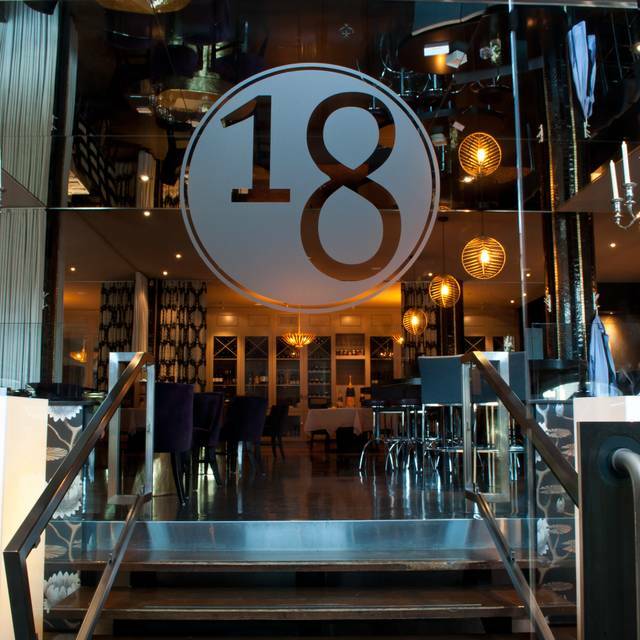 Restaurant 18 can be booked out exclusively or book one of our semi-private areas alone or in conjunction with another area. 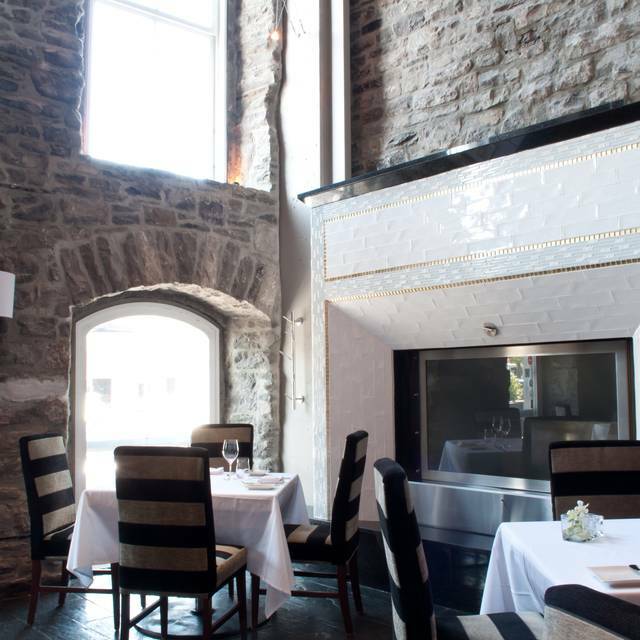 Restaurant e18hteen was named after its unique location in a 19th century heritage building in the By Ward Market Ottawa. 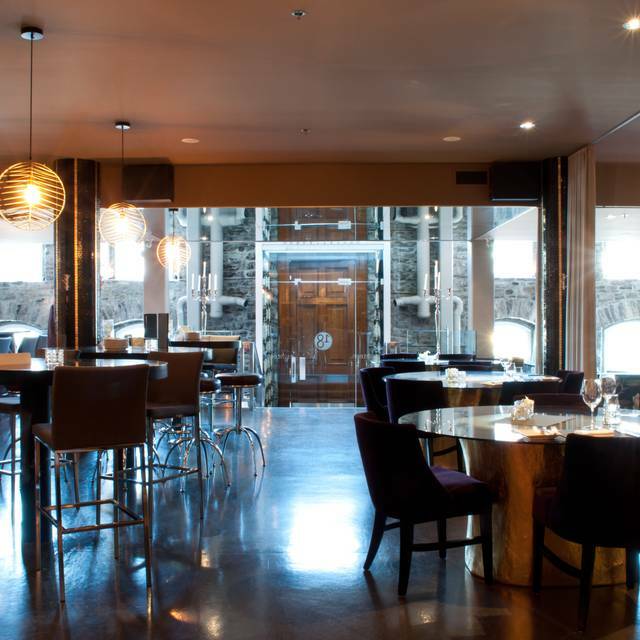 Our adaptation of a Modern Steakhouse with a signature “Canadian Freestyle Cuisine” is a destination for local foodies, politicians, artists, celebrities and out of town visitors. 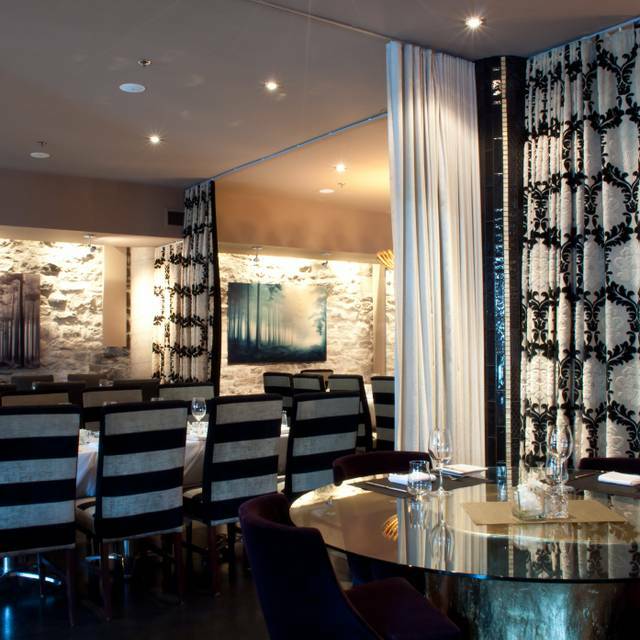 E18hteen’s gourmet experience is perfect for the business professional, the socialite or romantic diner. Firstly it is very expensive. That is expected but somethings just don’t reflect the cost. That is how ‘value’ is defined. Dinner for two; chateaubriand, one martini each, one glass of house wine each, coffee and shared desert. After tip was $275. One thing really stood out. We were informed that the chateaubriand came with two sides. We therefore ordered Caesar salad and mushrooms to accompany the steak. The salad came in one small bowl. We had to either eat out of the same dish or somehow spill it onto our plate. There were no tongs for this and there was no offer to perform this on our behalf. It was so strange! At a similarly priced restaurant in Winnipeg such as 529 Wellington, this would have much much better food presentation. No need or desire to return. Too many good choices in Ottawa. We should have had dinner at our hotel. (Château Laurier, which is always perfect). Meh. Wasn’t great, wasn’t bad. Probably wouldn’t go back unless someone else was paying. Fantastic place for a special occasion - the Cook is a genius to mix various delicate savours. 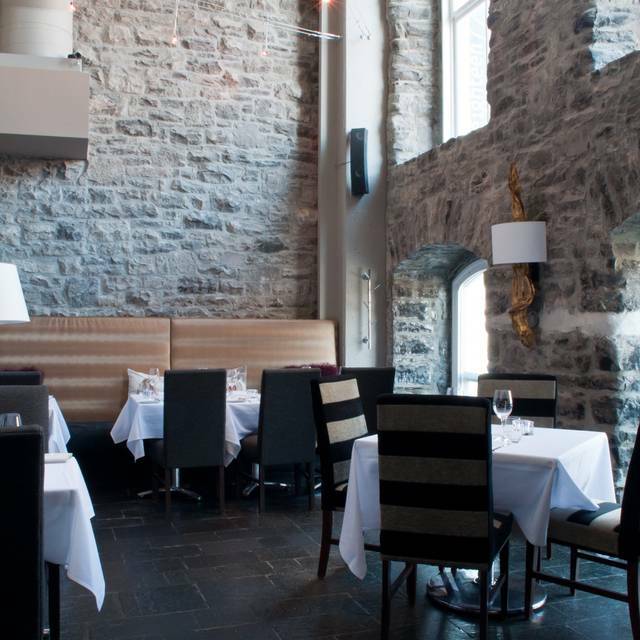 Definitely, our favorite restaurant in the Ottawa and Gatineau area! Service was slow and sub-par- forgot to bring butter to our table with the bread, despite the restaurant not being busy. Food was good but expensive for what it was. Beautiful building/restaurant. Service was very, very slow. Restaurant wasn’t busy and it still took approx 10 min for someone to even come and take a drink order. Between bringing drinks,taking order, bringing appetizer, mains etc, the time was excessively long. $300 for a family of 4. 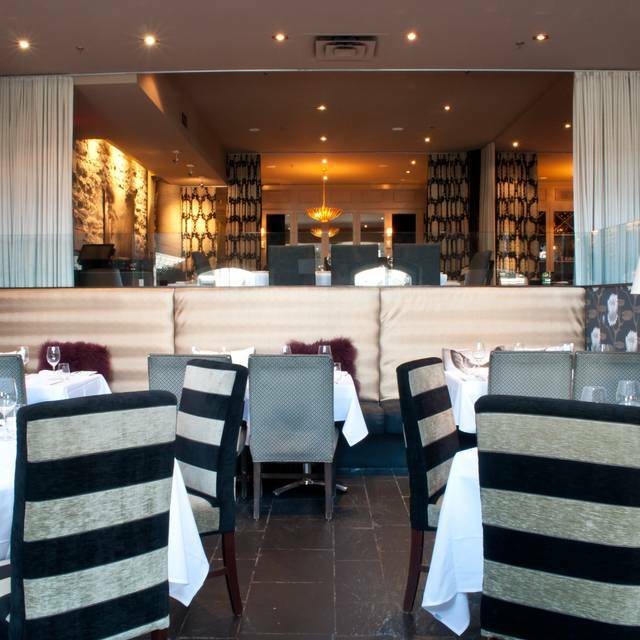 The restaurant is very good and service and food were great. However, I do not have the income to regularly afford it. We love e18hteen every time we go. The food always delicious and the service without fault. The ambiance is intimate without being dark, and it just feels very special. It is our favorite place for a nice evening out! Cassis-me-outside, best original drink thanks to Jason! However, there was a bunch a people who were very noisy. It was difficult to discuss. They left around 7:30 PM. Also, I would accelerate a little to time between each course. 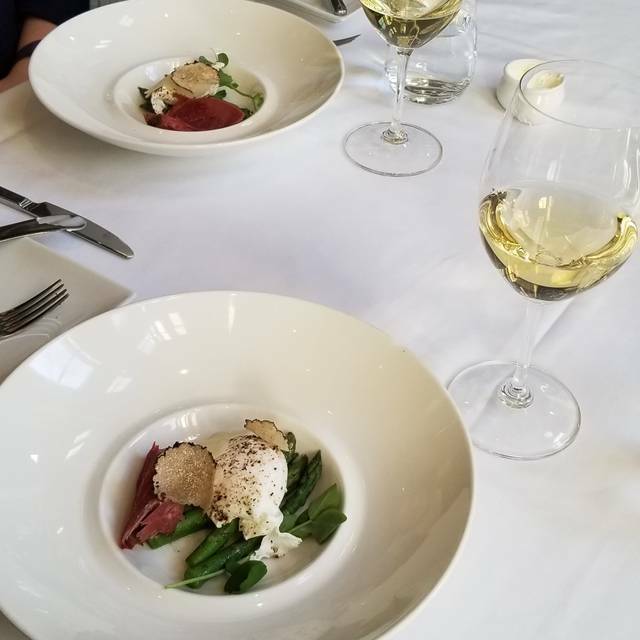 We were very fortunate to be able to get in on short notice and experience the consistent excellence in service and food we have come to expect from e18teen. It was another amazing dining experience. I was pleasently surprised with the compliments of the chef (Ive never had that before). Also my date was so cute with her bangs. I would definatley come back here again. Service was impeccable, food absolutely amazing, do the 3 course menu as a surprise, you will not regret the discoveries ! The restaurant has excellent food. Everything we ordered was exceptionally tasty and beautifully presented. The portions are a bit small and expensive. Restaurant was awesome!! Beautiful ambiance fireplace bar lounge area. Highly recommend as an Ottawa foots eat at!! Excellent food and service though comes with the corresponding price. Great spot and will definitely go back. Fantastic food and service. Our Server was entertaining and informative. Couldn't ask for anything more. The ambiance was romantic and the food was exceptional. We had the chateaubriand for two and shared a Caesar salad. We left feeling full and happy. Service was excellent. Souper de fin de soirée très agréable. Un serveur parlait français, ce que nous avons grandement apprécié. Cuissons du canard et de l’agneau parfaites. Décor unissant la pierre historique et une rénovation actuelle très réussi. Had the 5 courses. Squid ink tortellini ok, the dough crumbled (dry) flavour good. Torchon was a generous portion ( too much), foam, sauces and crumble all too sweet for the foie gras. Duck main was cooked perfectly, seasoned nice, great presentation, missed a little mash or starch with it. Bread pudding is a heavy (un-elegant finish). Good friendly service! Everything was excellent - from the service to the food. Would highly recommend and will definitely be back. Very classy & elegant atmosphere. Had a great dinner at e18ghteen. The staff were great, and quick. Definitely would go again. For the price of the food, I didn't find the taste exceptional. The service was good, but the restaurant was not very accommodating for food allergies (e.g., the other member of my party was lactose-intolerant). I understand that the Winterlude menu came pre-prepared, and so I understand that that could not be modified, but in the future it might be best to have a bit of choice in this menu. For the Winterlude menu, the first course and main course were very good, but the pasty in the dessert course was inedible - very dry and tasteless. Overall, I feel that I would not recommend this restaurant to others. Both Lorel (server) and Alex (sommelier) were absolutely wonderful. We treated ourselves to a great dinner date and they treated us like kings. Will be returning for sure. Amazing service. Baked alaska top notch. Really friendly server! Everything we ate at e18hteen was amazing, from the tartar and octopus to the ribeye steak. Cocktails and wine were on point, service was excellent. Our server was fantastic! Made great recommendations and gave us a phenomenal experience. Emmanuel was our server and he did a great job. He certainly make our evening more enjoyable. We were a little worried when we first arrived as there was a very noisy large party around the bar, but they settled into their tables eventually and it didn't impact our service. Food was good but we weren't really a fan of the tasting menu options as all members at the table are required to order it, which is hard when 1/4 people don't eat one or two of the items on it. What an experience. e18theen is a must for foodies. We chose the tasting 5 course menu which was tastefully outstanding. Excellent wine list. Service hors-pair. A must in downtown Ottawa. Building is beautiful and the food is outstanding. Will be back again soon! This is an outstanding restaurant in every way, ie food, ambience, service. A Canadian friend had recommended this place and I am so glad we heeded his advice. My family of five had a wonderful evening here and also very much enjoyed strolling around the Byward area after dinner. If/when I am back in Ottawa, I will definitely return to e18hteen.